Mayda Poc is a career and life ­­­­­coach in New York City. 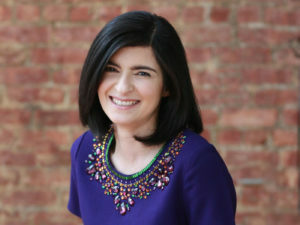 Mayda started her practice in 2017 after a very successful fifteen-year career in the fast-paced world of investment banking. After immersing herself in private equities, corporate finance, and derivatives, she wanted, and needed, something new and she embarked on a new path as a life and career coach. A path that would more closely align with her ability to relate to people, listen to them, and help them find the right solutions. Because of her work in finance, she was very well aware of the need for this kind of coaching for people who were consumed by a frenetic and fevered work life. After becoming certified by a host of coaching associations, Mayda had the necessary tools to be a successful career and life coach, now she just needed the clients. She knew she could access her Wall Street rolodex, but she had to find the right marketing agency that could help turn her vision into a reality. She chose to partner with Van West Media because of our deep experience in taking ideas and concepts and successfully transitioning them into effective online marketing solutions to build a business and drive leads. 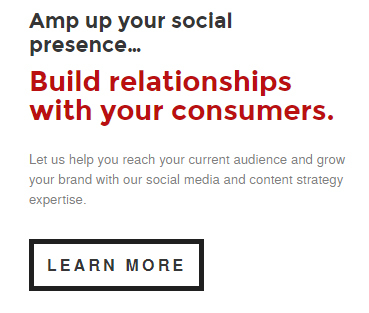 Van West Media began by establishing a brand identity and positioning strategy following a deep-dive competitive analysis and multiple phone and in-person interviews with Mayda to fully understand her practice, her personality, and her needs and goals. We also looked closely at how other individuals in the coaching arena build their brands and positioned themselves online. After creating a name for her practice, as well as a corresponding logo and brand identity, the Van West Media team began a robust design process for the website and other collateral including business cards and email templates. The Van West Media team worked closely with Mayda to flesh out and clearly understand her needs and goals for the website which included showcasing her skills, services, and coaching leadership for the purpose of attracting new business, newsletter signups, and visitor engagement with her blog. Because Mayda is fluent in French, and she has many French-speaking clients, the new site had to be in multiple languages. In addition, the site had to provide an excellent user experience on the frontend and an easy way for Mayda to update new content on the backend. 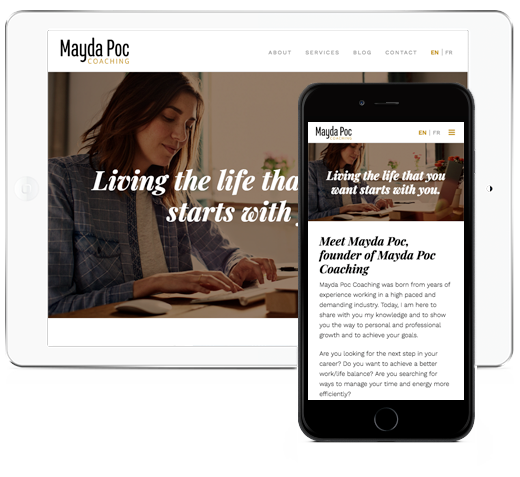 The recently launched website was designed and developed to closely mimic the kind of sophisticated and professional qualities that reflect Mayda’s coaching style and personality. The site was designed and developed to be easily accessible, responsive, and engaging, using industry best-practices and intuitive design features. Because of the new website and marketing initiatives, Mayda now has a defined brand voice and appropriate messaging as well as an effective and clear way to drive new and referral business to her practice. We look forward to working with Mayda as we continue to strengthen our partnership to help her to build out her practice.